You may have planned your data management strategy down to the last detail and cleared all of the ethical issues and intellectual property rights, but if you don’t organise your data properly on a day-to-day basis, there is always a risk that you won’t be able to find things when you need them. Likewise, if you don’t document your data, you may not be able to understand why exactly you recorded what you did, or how your data was derived when you come back to it in future. If you are planning on sharing your data at any point, then documentation is especially important. 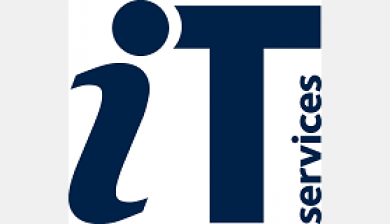 Take a look at the software and web services available to you. It’s worth investing a little time ensuring that you are using the most appropriate tools for structuring and working with the information you are gathering. Colleagues can be a useful source of recommendations – ask them what they use. What do I need to consider when choosing a file name? It’s generally useful to aim for file names which are concise, but informative – it makes life easier if you can tell what’s in a file without having to open it. Operating systems usually default to sorting files alphabetically, so it can be helpful to think about what comes at the start of the file name – is it more useful to order the files by date, by author, or by subject, for example? If you have multiple versions or drafts of a file, it can also be useful to include a version number in the file name – this makes it straightforward to see which copy is the most recent one. The Research Skills Toolkit offers a fact-sheet on file naming. What about file structures? What tips are there for developing a system? Most operating systems default to a hierarchical file structure – files inside folders, which may be nested inside other folders. This great if your material can easily be grouped into relatively discrete categories. In planning a hierarchical folder structure, aim for a balance between breadth and depth – so no one category gets too big, but also so that you don’t have to click through endless folders to find a file. In some cases, it may be more helpful to use a tag-based system – where each file is assigned one or more tags, or labels. This makes it easier to have overlapping categories, and files can be categorised in multiple ways simultaneously (by subject, by author, and by the project it relates to, for example). The more recent versions of the Windows and Mac operating systems both allow you to add tags to files; file tagging software is also available. It’s worth taking time every now and then to reassess your folder or tag structure, perhaps moving old, unused items to a folder called ‘Archive’ or something similar so they don’t clutter up the screen. 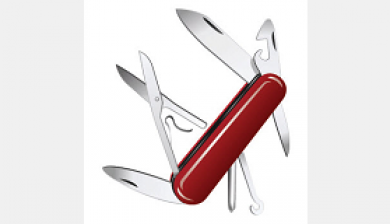 The Research Skills Toolkit offers articles on organising research material, including fact-sheets on choosing an organisational system, and on using shortcuts and hyperlinks as ways of connecting related material within a hierarchical system. What are documentation and metadata, and why should I consider creating them? Good documentation makes material understandable, verifiable, and reusable (by you or by others). It includes all the contextual information needed to help a future user interpret it properly – for example, information about when, why, and by whom the data was created, what methods were used, and explanation of acronyms, coding, or jargon. It is good practice (and in the long run, much easier) to begin documenting your data at the start of your research project and to continue to add information as the project progresses. You should also include procedures for documentation in your data planning activities. Metadata is simply ‘data about data’. It is related to the broader contextual information that describes your data, but is usually more structured in that it conforms to set standards and is machine readable. One typical use of metadata is to create a catalogue record for a dataset held in an archive. By using a standard set of tags, an automatic system can tell where the information about the title, creator, description and so forth begin and end. 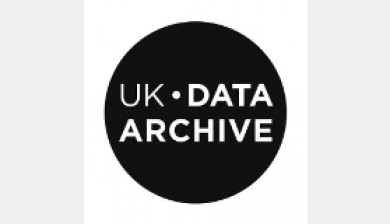 The UK Data Archive provides an excellent overview of this topic. 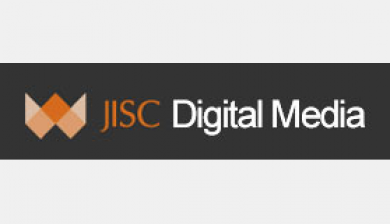 Support staff from the Bodleian Libraries and IT Services can offer expert help in data modelling and in creating metadata for description, discovery and preservation. Please contact us for further information. Reference management software can be used to store details of all the articles, books, and other sources you make use of in your research, and to automatically generate citations in written work. You can also use reference management software to store copies of articles (usually as PDFs), and to record your own notes. Some software packages offer additional features, such as the ability to annotate PDFs. 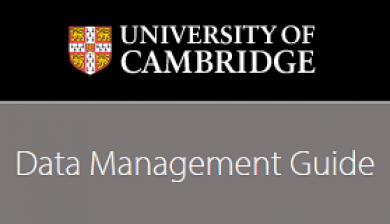 Popular reference managers include EndNote, RefWorks, Mendeley, Zotero, and Colwiz. 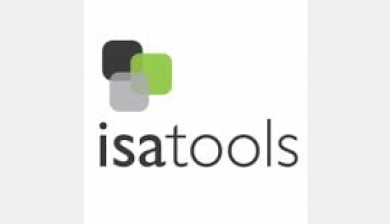 The Research Skills Toolkit has a range of resources on citations and bibliographies, which includes information about a number of reference management software packages. Good practice advice from the UK Data Archive. covering file formats, data organisation, and versioning. An interactive training module in the MANTRA course, covering organising, versioning, and file naming. 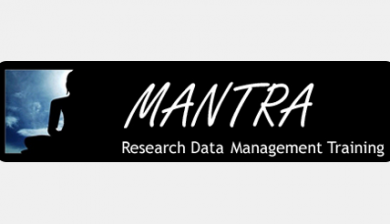 An interactive training module in the MANTRA course, covering file formatting and data transformation. Practical exercises using SPSS, R, ArcGIS, and NVivo. Provided by MANTRA. Learning resources on various aspects of managing information used in research. Good practice advice from the UK Data Archive, covering documentation and metadata. An introductory guide to the various aims, objectives and concepts of metadata. 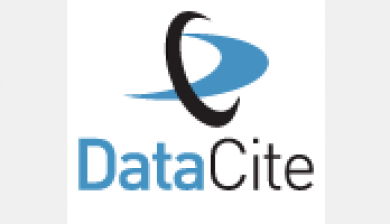 Advice about persistent identifiers for datasets (DOIs), data citation, and metadata schemas. 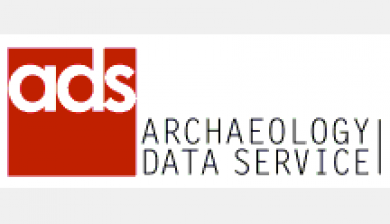 Advice from the Archaeology Data Service, covering the whole data lifecycle.